I know I'm going to sound a bit hypocritical when I say I don't want to grow old(er), but if I'm to be completely honest with you, I am a bit afraid of entering the next decade. I am all for body acceptance, size diversity and loving one's real self, and yet find myself wary of my thirty-something self. I anxiously await who I will turn out to be, when my age can no longer pass as an excuse for less-than-sparkling behavior, highlighter-inspired clothing, cutie-patootie animal prints or foolish decisions that can be attributed to the impetuousness of youth. Mainly, my fears aren't from getting wrinkles or other superficial changes, but rather on what my life look like when I get there. Although I am more of a homebody than a daredevil, the quick passing of time makes me realize that I need to try things, go on adventures, fight my way through insecurities and build the best version of myself while I still have time on my side. 'Where will I be at that stage in my life? What would I have accomplished by then? Would I be happy and content with my decisions, or be miserably filled with wistful regrets?' are just some of the many questions floating around in my head, making me more of a nail-biting worry-wart that the fun, carefree self I used to remember. All those introspective musings are actually brought on by the freshness of my outfit and how young I feel when I have flowers abloom all around on me...causing me to think about my impending future and what it holds. Twenty-eight going on thirty feels like standing on crossroads and not knowing for sure where I want to go. If reaching the end of the calendar is already making me anxious, I wonder what thirty-eight going on forty will feel like. Do you also worry about the future and wonder what your life will look like then? Regardless of the setting, you remain beautiful and stylish. I can attest to the fearing the future thing; and as tough as it is to say, you can only worry about what's in front of you. Even I often times fear how long I'll actually live and what becomes of my own life. Tough as it is, only worry about what's in front of you. Otherwise, you may not even make it to see what ten years from right now will be like. Anyhow, the outfit is very nice as you blossom beautifully with floral style. Keep your head up and remain strong and be awesome- Abi awesome. True. Taking it a day at a time. Thanks John! wow you look very pretty with this outfit! 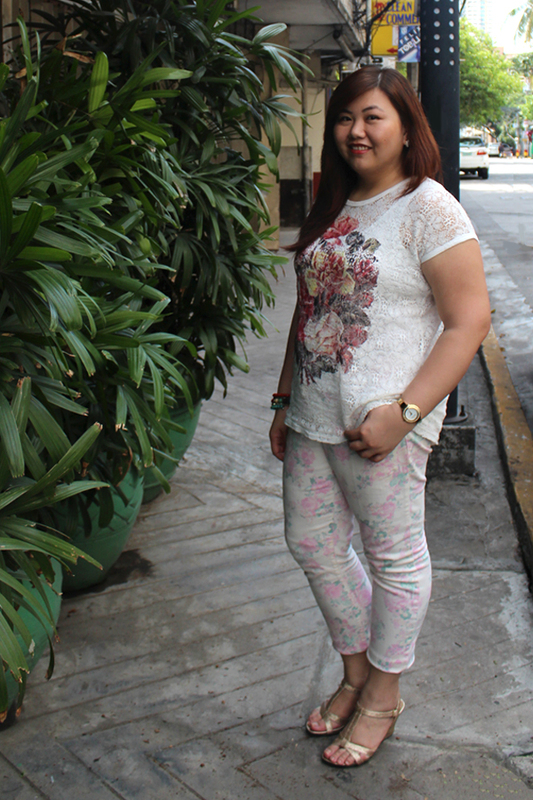 I love love love the floral pants, they fit perfectly on you! I love this outfit! Your floral top & jeans are so pretty. Looks great on you. Don't worry. Continue taking care of yourself, enjoying life and have fun. Things we have no control over, we must not worry about. Proper care always helps. T-strap heels are sooo sexay. Awwww dont worry Abi....getting old is not so bad as you think (wink wink!!) ....I love the easy breezy style of the top!!!! It's not aging per se that I fear. It's reaching a certain age and not being able to attain anything. 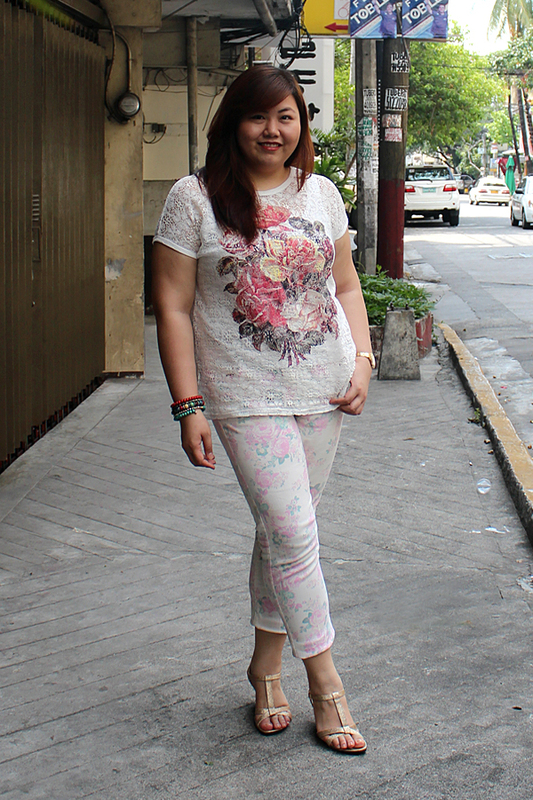 Love this floral themed outfit! You are pretty, Whatever you wear.. Don't worry about the future.. Remember we have our saying's..
" Kalabaw lang ang tumatanda " (corny ko )Just always, put a smile on your face, for you to look younger. It really help's a lot. Swear..